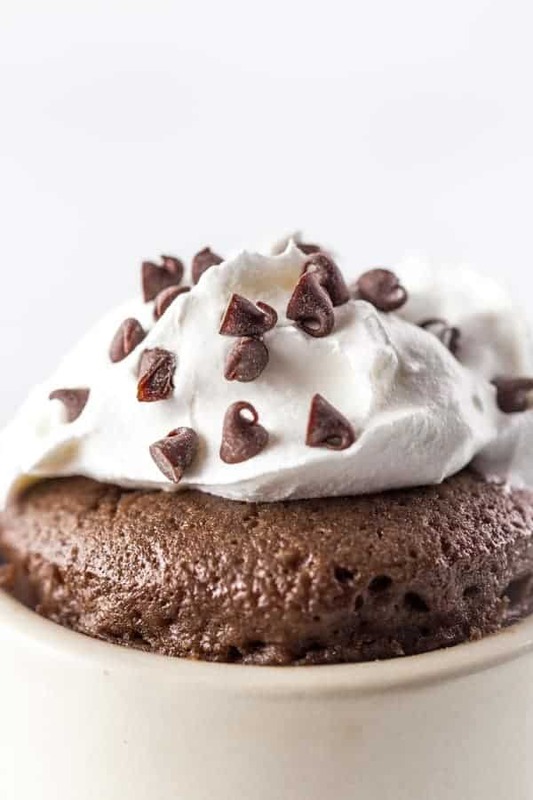 This gluten-free chocolate mug cake packs a lot of flavor. Made from simple ingredients, this easy recipe is perfect whenever a chocolate craving hits. Top with whipped cream, ice cream, or an easy frosting. 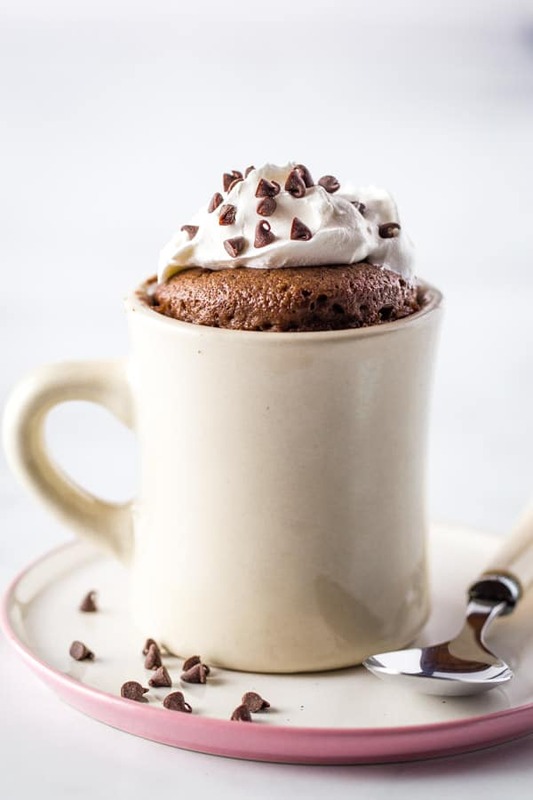 Even though you can make this mug cake in about a minute, it’s anything but basic. 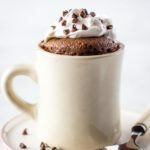 Like my gluten-free vanilla mug cake, this chocolate version is as easy-to-make as it is tasty. Microwave on high for about one minute. 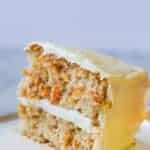 Top with whipped cream, ice cream, or frosting. What size mug is best for mug cake? A large (12 ounce) mug is best. The cake puffs as it cooks, which is why it’s so important to use a large mug. 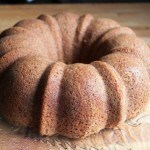 You want to make a cake, not clean your microwave from overflowing batter. What cocoa powder is the best to use? 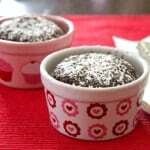 In this recipe, natural or Dutch-process cocoa powder are interchangeable. 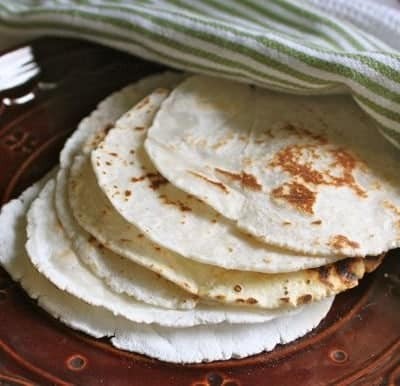 Use whatever you have in the pantry. Just be sure not to use hot chocolate powder. It’ll make the cake too sweet and not chocolatey enough. 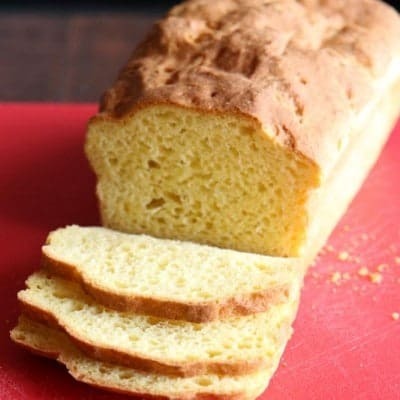 Can I make this without an egg? Yes! 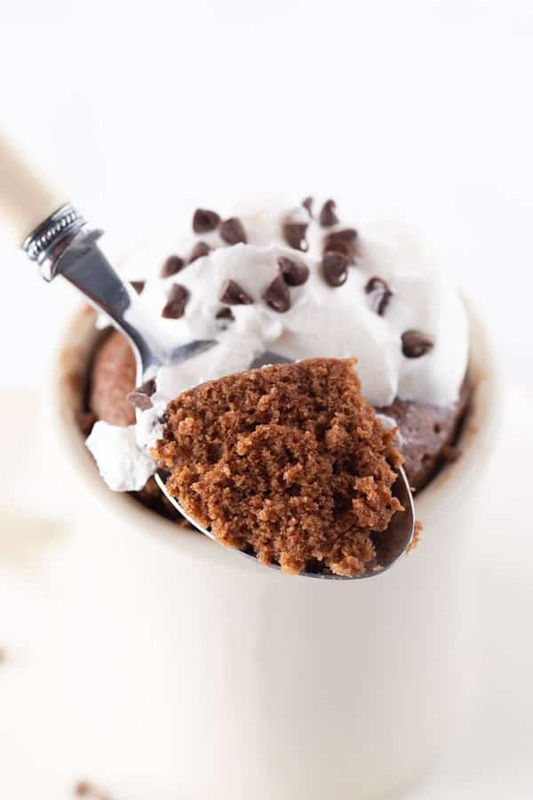 This gluten-free mug cake is easy to make dairy-free. Simply replace the milk with your favorite dairy-free alternative. You can even use chocolate or water if you’d like. 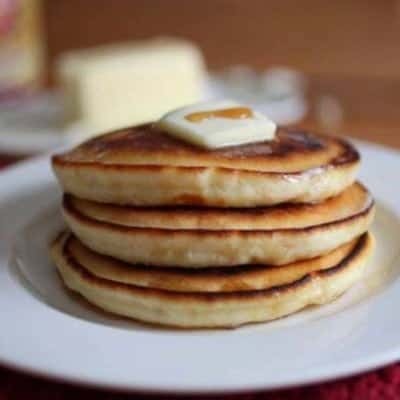 Can I make this into a vanilla cake? 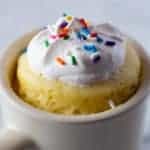 For a vanilla-version, follow the recipe for my easy gluten-free vanilla mug cake. It’s just as easy, moist, and tender as this one—only without the chocolate. Spray a large (12 ounces) mug with nonstick cooking spray. Stir together gluten-free flour, cocoa powder, sugar, and baking powder in the mug. Add egg, oil, and milk. Stir until smooth with a fork or mini whisk. Stir in mini-chocolate chips if using.